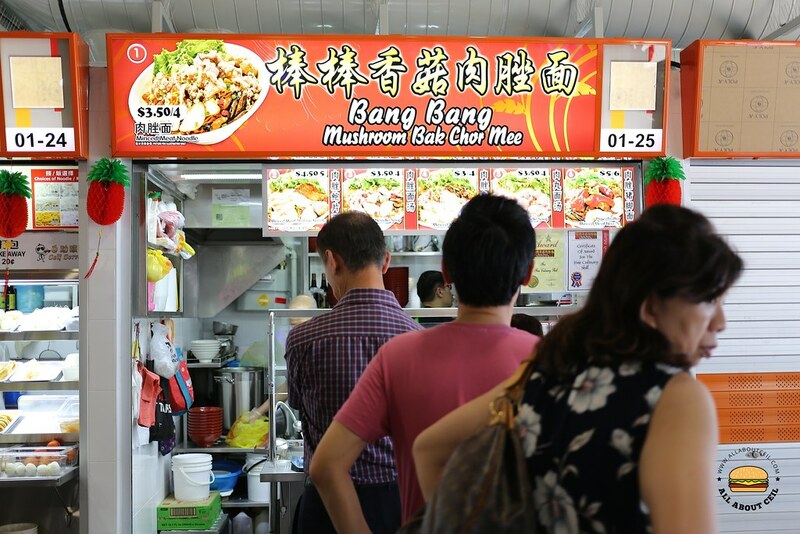 There were a few people waited in the queue in front of this stall when I was walking around the food centre on a Sunday looking for a lunch option. I joined in the queue and waited for about 5 minutes before ordering. I decided to go with the Pig's Trotter Minced Meat Noodle listed at item 4 on their menu. I went with the smaller portion at $5 and the larger portion is at $6. My order was served in just a while and its presentation looked rather promising. I tossed it well and was eager to have the first mouthful. The noodles were cooked well but it was mild tasting with a slight hint of vinegar. 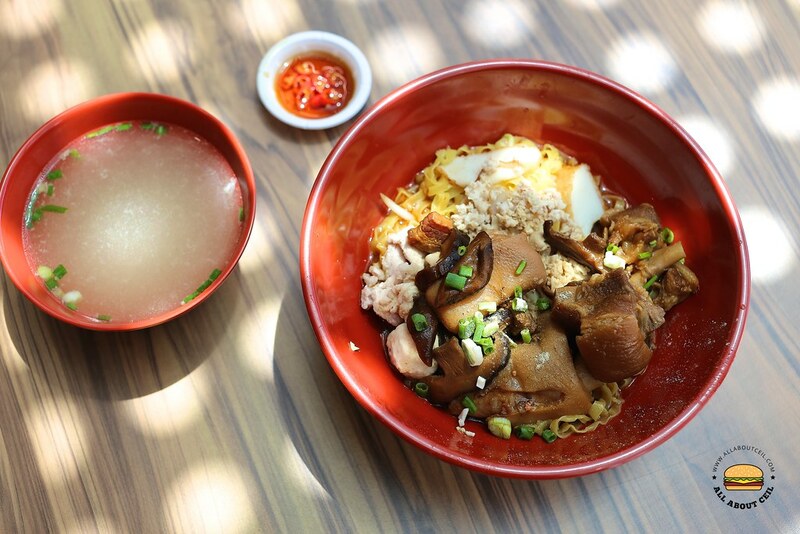 Other than the braised pig's trotter, it was also served with ingredients like sliced fish cake, lean meat, minced meat, meatball, braised mushroom. When I looked closely at those pieces of pig's trotter, there were pesky little hairs on most of part of it. That was quite a turnoff and I left it untouched. 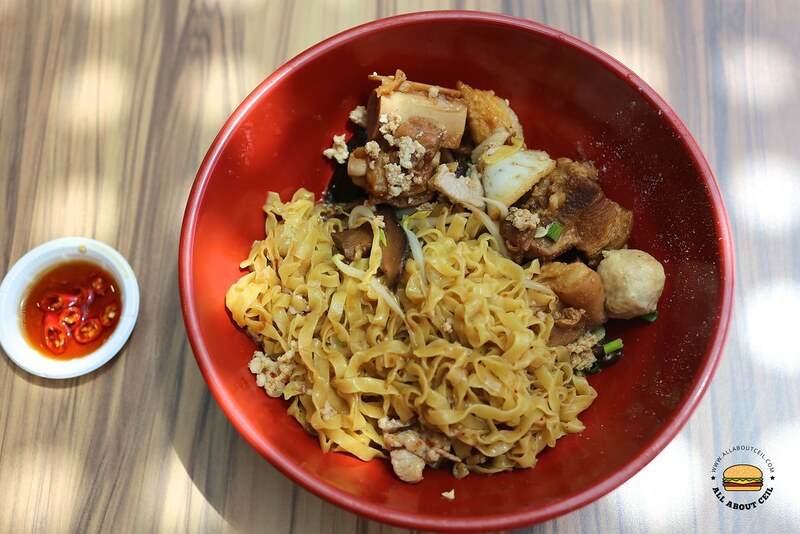 If I do go back, I would just go for the Mushroom Bak Chor Mee which is supposedly their signature.